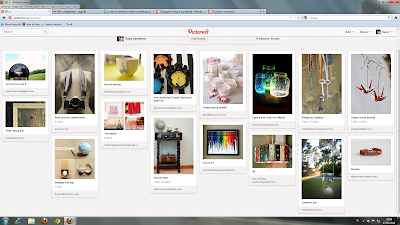 I finally own a pinterest acount. I knew pinterest for some time and could spend hours browsing among the photos and yesterday I decided to finally make my own account. It's newer than new so there still isn't much pinned on my boards but just wait ^ ^. I'm mostly going to pin photos as an inspiration to redecorate my room, DIY's, nice clothes and much more. And in the meanwhile meanwhile, I'm still snooping around!